Imagine a Design, Choose your Colors, and We Bring it to Life! 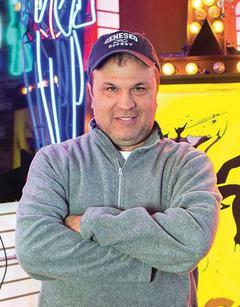 Tom Brickler opened the Neon Shop in 1986 in the Uptown neighborhood of Chicago: "I had an old Budweiser sign that was broken" said Brickler, "I just couldn't throw it away and I knew that it was worth fixing." This quest to repair this beer sign led Brickler to employment in the neon sign business. Fishtail Neon was the business Brickler opened naming the business after a fishtail ribbon burner used for making sweeping curved bends with glass over fire. 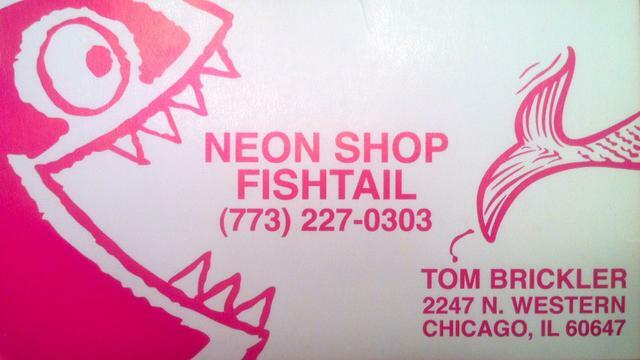 The business later became the Neon Shop when clients searching for him could not readily find him: " I really didn't want to give up the name Fishtail," said Brickler, "but when I started getting calls for lobster prices, I thought the Neon Shop would be a better fit." 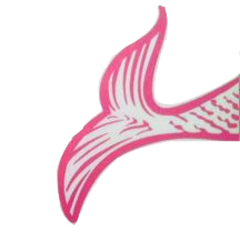 The Neon Shop Fishtail was the name given to the business to attract those interested in neon and keep the name that so many people had purchased signs from when the business began. After 20 years, the business is still going strong with work in the major motion picture industry, business signs. 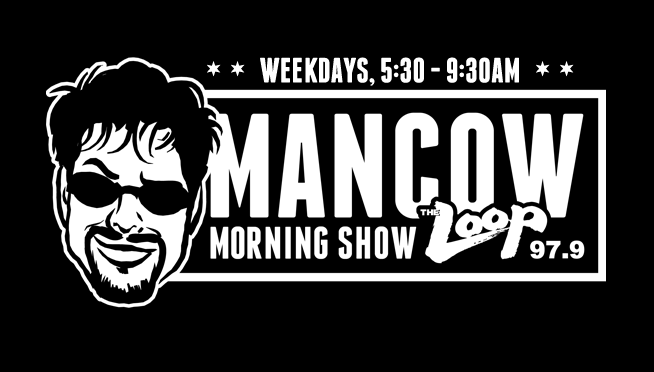 custom art for residential and signage for the industry. " 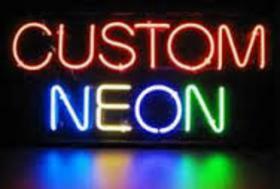 We specialize in making our own signs in the handmade custom way neon is made and take great pride in what we do.!" The Neon Shop Fishtail is located at 2247 N Western Ave. on Chicago's northside and handmade work can be viewed at the store. "It's more of a shop than a showroom" says Brickler, "and it never looks the same each day!" 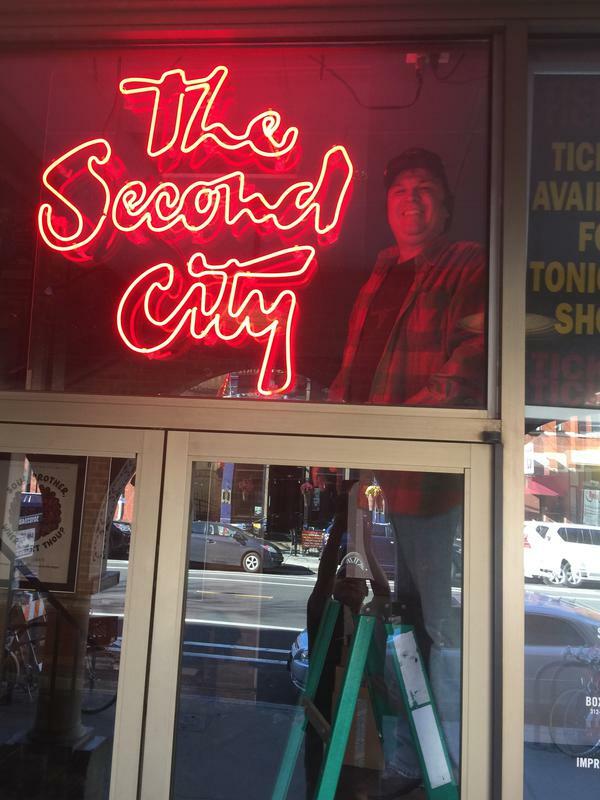 Even if you are not in the market for a neon sign, Brickler welcomes those who visit his shop. 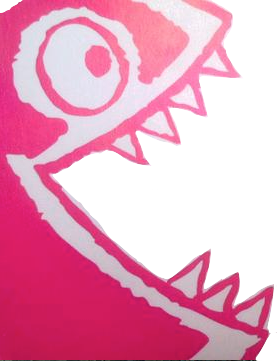 He says, "After coming in, you will now be noticing neon everywhere and hopefully you will come up with an idea that we can create in light." 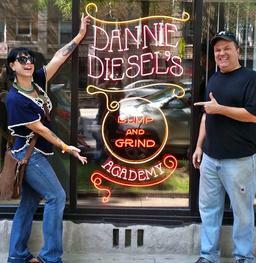 Familiar face from the American Pickers and talented burlesque dancer Danielle Colby sees her sign come to life! 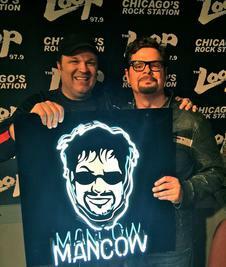 Neon Tom and radio personality Mancow Muller! 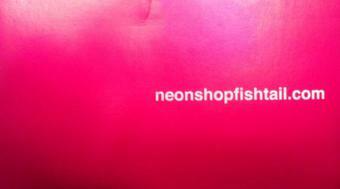 Neon Shop Fishtail decks out Second City!